When you’re making coffee at home a lot goes into determining the final taste, with the freshness of the coffee itself often going overlooked. The freshness of coffee is affected by everything from sunlight to heat exposure and air. With ground coffee, in particular, the right packaging and storage can help extend the life of your coffee and ensure every bit is deliciously full-flavored. One easy change that can make a big difference? Get coffee grounds that come in a can. Cans are the best packaging for preserving the freshness of the coffee. Since cans are made of tin-coated steel or aluminum, they provide the strongest possible barrier to oxygen exposure of any common packaging (with the added benefit of keeping light out, too). With oxygen infiltration leading to staling coffee and flavor loss, this added protection ensures your beans stay at peak freshness for as long as possible. When stored correctly this way, ground beans in an unopened can should be able to remain fresh significantly longer than their bagged counterparts. This is mostly due to the fact that canned grounds can be shipped in an airtight seal. No matter how high-tech the bag, this seal is something that simply cannot be replicated. Another benefit that comes along with packaging coffee in cans is that the cans can be reused or recycled. Whereas a typical bag is single-use and disposable, cans are far more viable for repeated use with minimal wear and tear. They can be used for everything from enhancing the shelf life of coffee bought in bags to holding your spent grounds for later composting without giving off an odor. 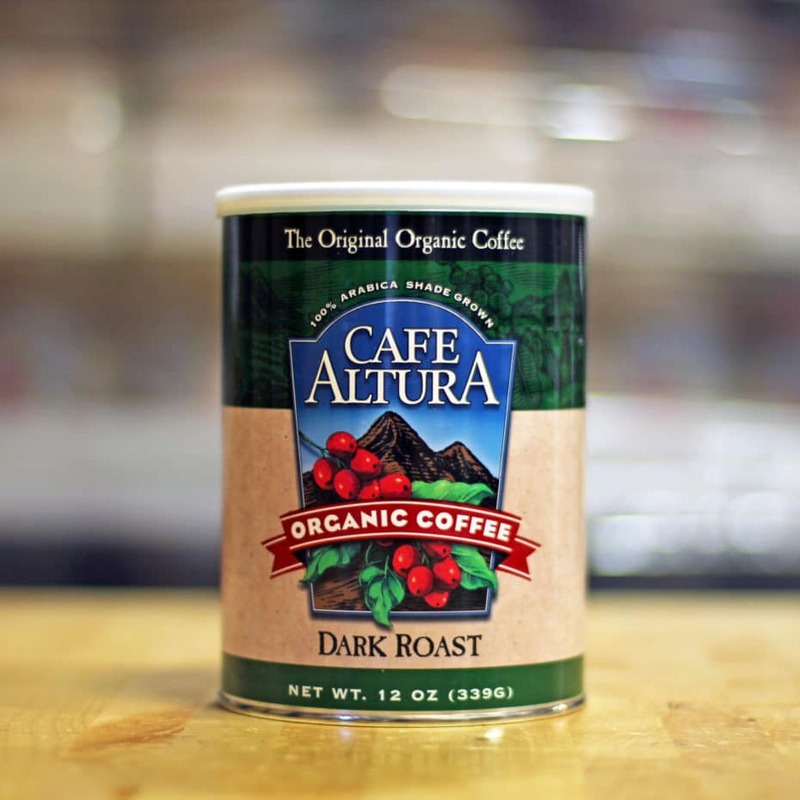 Here at Cafe Altura we’ve been selling ground coffee in cans since the ‘70’s. It was a good idea almost 40 years ago and it remains a good one now. With 8 different types to choose from, you’ll be sure to find something that suits your tastes and allows you to capitalize on the benefits of canned packaging. Though we may have been consistent providers of canned coffee all along, the rest of the industry is starting to come back around to the idea and we’re all for it. Canned packaging has been having something of a renaissance as of late. Spurred on by their increasing popularity with microbreweries (and even wineries), canned packaging is now expanding into the specialty coffee market. Third wave coffee places like Blue Bottle have even recently announced a new line of canned coffees, touting the benefits of caned packaging over traditional lined paper bags. So whether you’re interested in greater sustainability, or longer shelf lives, you should definitely be interested in canned coffees. Now with more options to choose from than ever before it’s a great time to shift your coffee buying habits a bit and check out our selection of canned options. The planet–and your taste buds–will be thanking you for it.